Indian Institute of Technology Guwahati, the sixth member of the IIT fraternity, was established in 1994. The academic programmer of IIT Guwahati commenced in 1995. At present the Institute has eleven departments and three inter-disciplinary academic centers covering all the major engineering, science and humanities disciplines, offering BTech, BDes, MA, MDes, MTech, MSc and PhD programmers. Within a short period of time, IIT Guwahati has been able to build up world class infrastructure for carrying out advanced research and has been equipped with state-of-the-art scientific and engineering instruments. Placement : The Training and Placement Cell of the Institute centrally handles all aspects of campus placements for the graduating students of all Departments. The T & P Cell is well equipped with excellent infrastructure to support each and every stage of the placement processes. The T & P staff members assist in arranging Pre-Placement Talks, Written Tests, Group Discussions, and Interviews etc. are made as per the requirements of the Organizations. Campus: Indian Institute of Technology Guwahati, the sixth member of the IIT fraternity, was established in 1994. The academic programmer of IIT Guwahati commenced in 1995. At present the Institute has eleven departments and three inter-disciplinary academic centers covering all the major engineering, science and humanities disciplines, offering BTech, BDes, MA, MDes, MTech, MSc and PhD programmers. Within a short period of time, IIT Guwahati has been able to build up world class infrastructure for carrying out advanced research and has been equipped with state-of-the-art scientific and engineering instruments. Central library: The Central Library, one of the important central facilities of the Institute, currently has a collection of over 1,17,000 items including 2605 subscribed online journals and magazines. 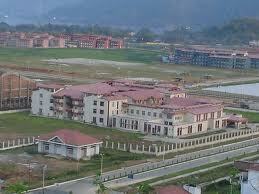 Hostel: Siang hostel came into being on July 2003 as the fourth gents’ hostel of IIT Guwahati. The name Siang follows the same revered tradition of naming hostels of IIT Guwahati after benevolent rivers of north-east India. Being the home of some of the M.Tech.,M.Sc., PhD. 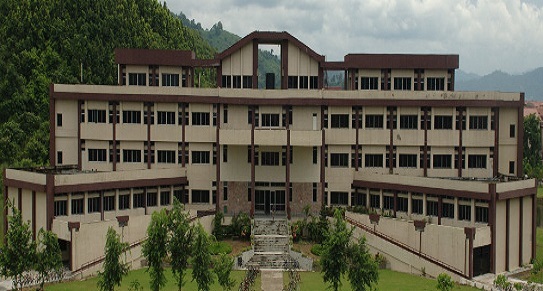 and Project Staffs of Civil, Mechanical, Computer Science, Electronics & Communication Engineering, Bio-Technology, Design, Mathematics, Physics, Chemistry, Humanities branches and various specializations of the Institute, Siang is reputed for its peaceful environment. A splendid green hill and a lake with playing birds adds elegance to the natural beauty of this uniquely (deep green) colored building, especially in summer sunsets.